Mental health issues account for approximately 40% of disability claims and sick leave in Canada, with depression and anxiety being the most prevalent . Given that one in five Canadians will develop a mental illness in their lifetime, the likelihood of an individual facing a mental health issue in the workplace is real. Unfortunately, the lack of understanding as well as the stigma associated with mental illness issues often result in missed opportunities to mitigate the impact on employees and for the workplace. This includes lost productivity, absenteeism, presenteeism, disability and medical costs. Clearly action needs to be taken to reduce the potential impact on your business and protect the psychological health of your human capital. AGS has a wealth of experience to help our clients mitigate these issues. 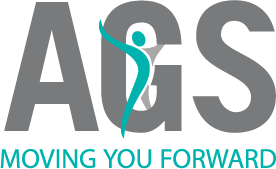 Having participated in the three year Case Study project with the Mental Health Commission of Canada, AGS has acquired extensive experience in implementing the National Standard of Canada for Psychological Health and Safety in the Workplace (the Standard). 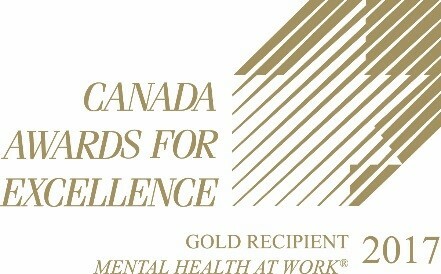 AGS was also honoured to receive the Canada Awards for Excellence Gold recognition in the Mental Health at Work® category in 2017, a journey which uniquely positions us to share best practices with our clients, regardless of the nature and size of their business, or the stage of their own journey. Our Mental Health Experts include, Certified Disability Management Professionals, Vocational Rehabilitation Consultants, Psychologists, Neuro-Psychologists, Psychiatrists, Occupational Therapists, Physiotherapists and Kinesiologists. With our robust assessment division, we are able to quickly access psychiatric and psychological evaluations. We also offer customized solutions to address safety-sensitive occupations. Our corporate services team consists of professionals trained in business management systems and specializing in integration of workplace mental health and employee well-being. Our team plays a critical role in helping employees back to health and work readiness. Providing supports for mental health issues can mean better outcomes for all concerned. Discover how we can help with customized services to meet your needs. we are happy to provide you with a free 30-minute consultation.